(AFP) EGYPT, Cairo — A court in Egypt on Sunday sentenced three people to death for their involvement in the killing of 10 policemen and for belonging to an extremist group, a judicial source said. The defendants were found guilty by a Cairo criminal court of being involved in the killing of 10 policemen, including an officer, between August 2013 and May 2014. They were also convicted for belonging to the Islamic extremist group Ansar al-Shariah. Both the defense and prosecution have the right to appeal. Four others were sentenced to life imprisonment — a 25 year term in Egypt — and seven defendants to 15 years in prison. Nine people were acquitted in the case. 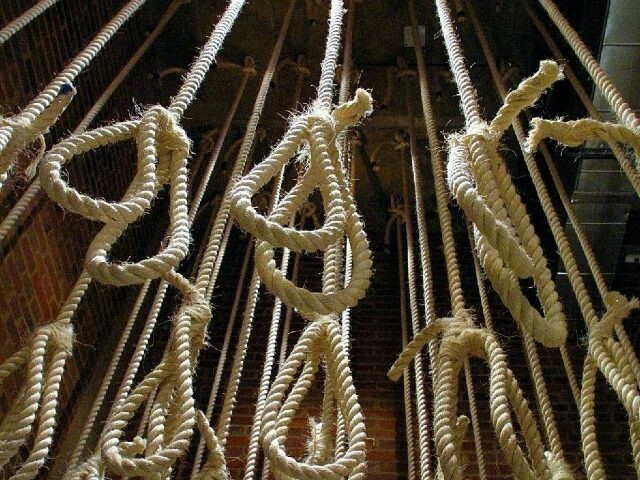 Egyptian courts have issued or confirmed a large number of death sentences in recent weeks. On Thursday, a military court sentenced 17 people to death for attacks against churches in 2016 and 2017 that killed a total of 74 people. On Monday, four jihadists belonging to the Islamic State group were sentenced to death, while on September 8 a court upheld death sentences for 75 people, including leaders of the outlawed Muslim Brotherhood movement. Jihadists launched an insurgency in Egypt after the 2013 ouster of Islamist president Mohamed Morsi, who was forced out by the military in the face of mass protests against his rule and that of his Muslim Bortherhood. The military says around 300 suspected jihadists and at least 35 soldiers have been killed since it launched an operation in February against jihadists in the Sinai Peninsula.